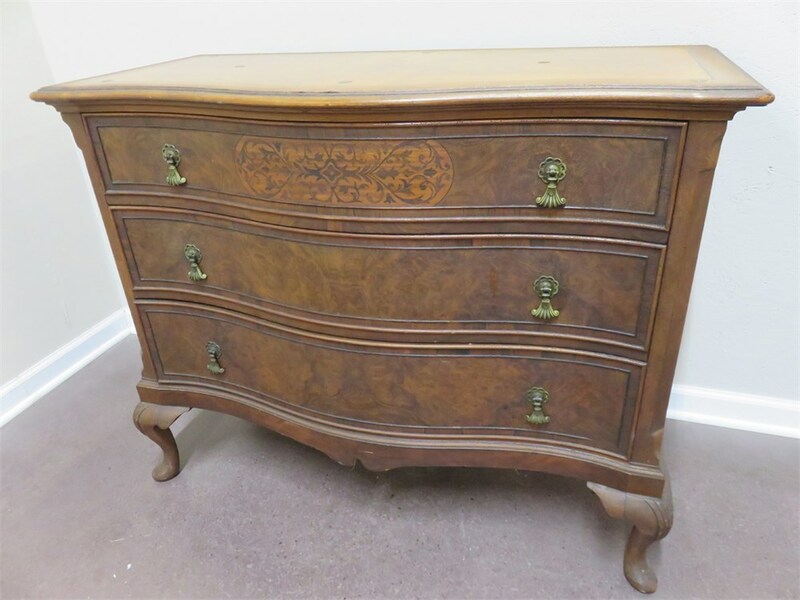 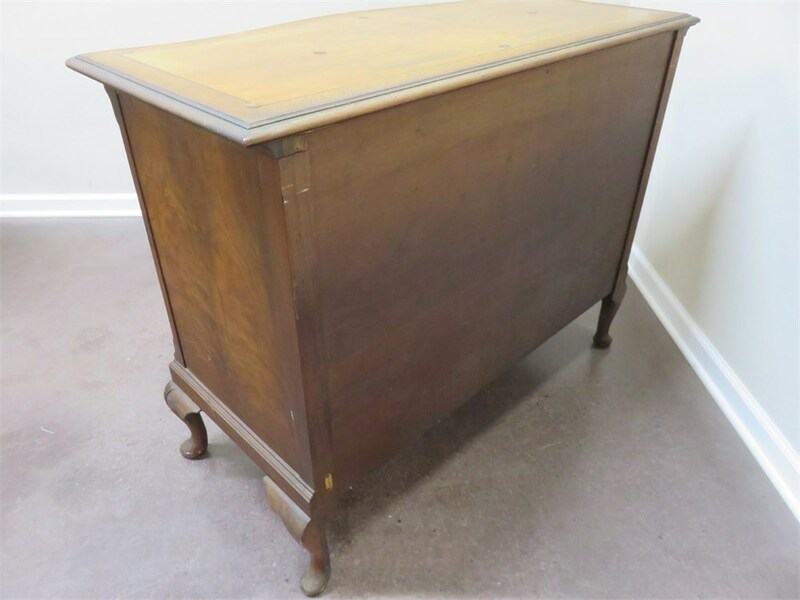 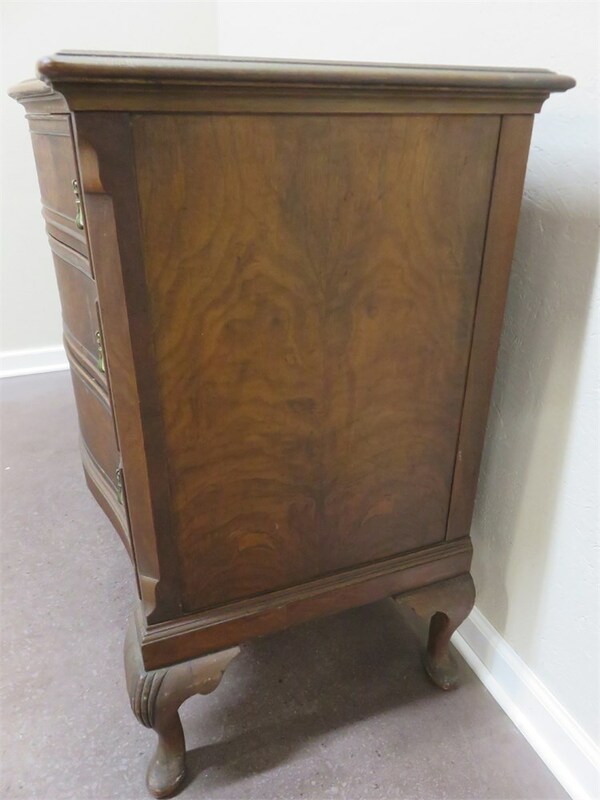 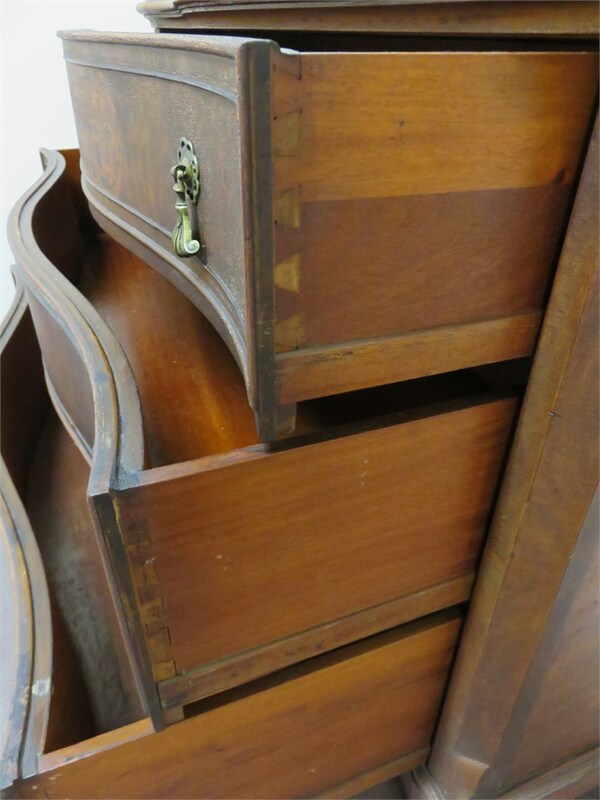 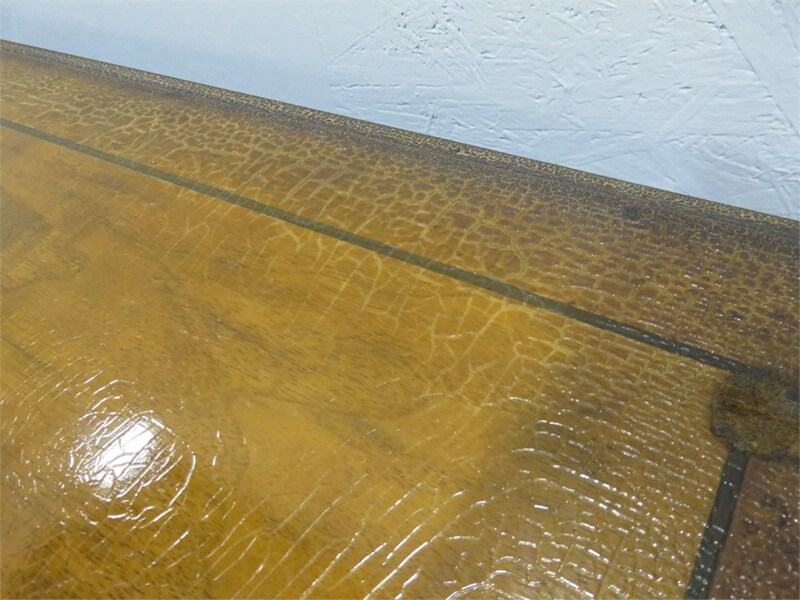 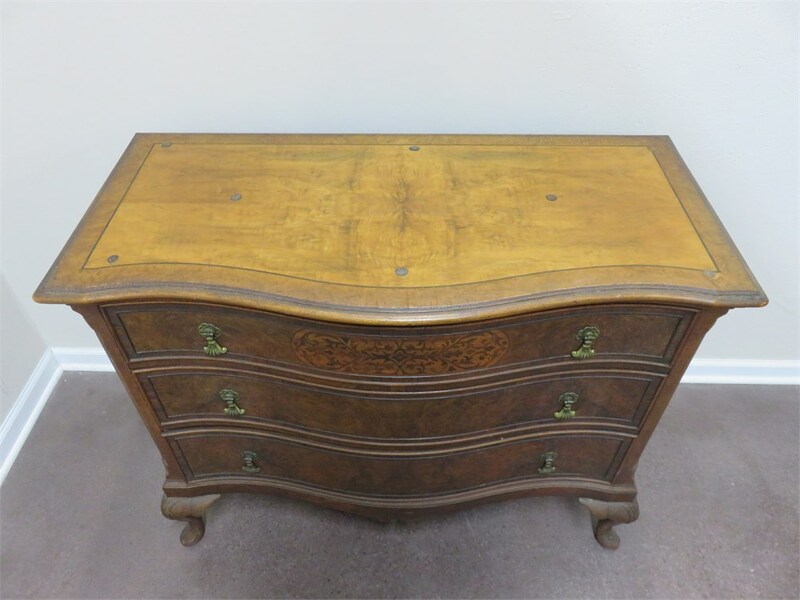 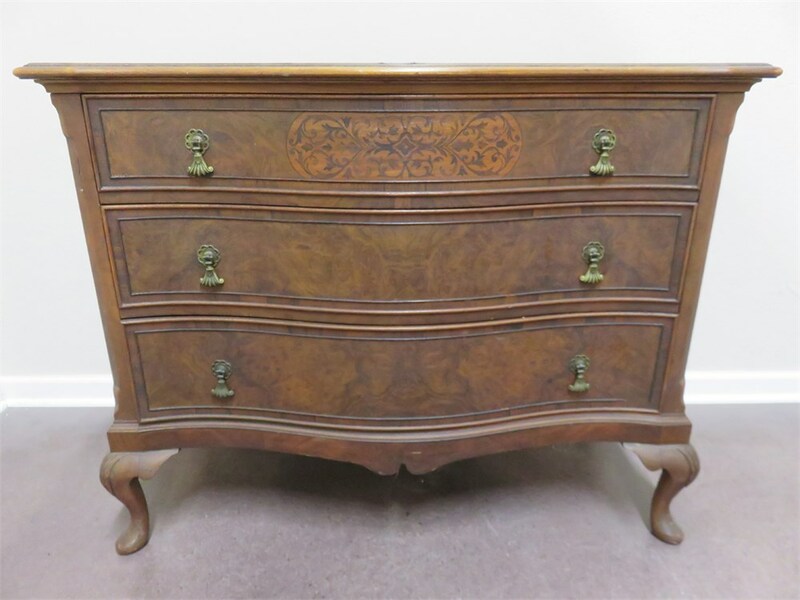 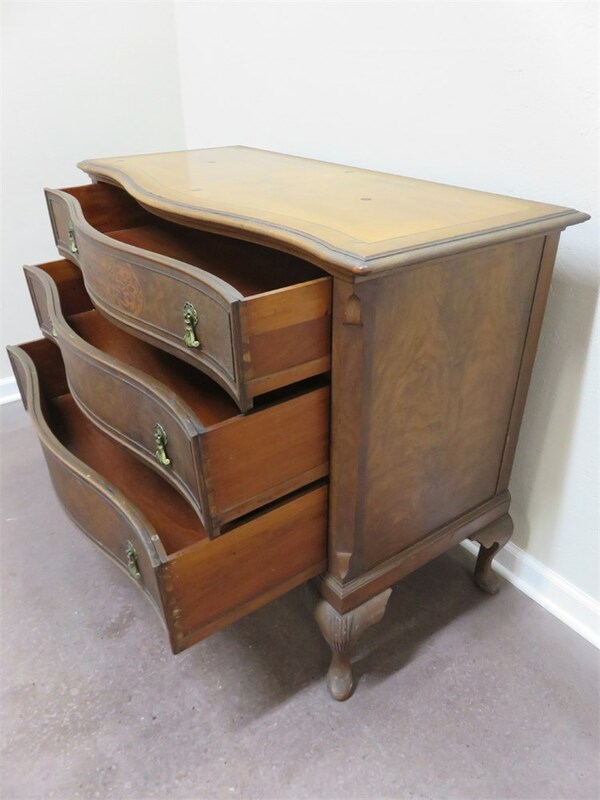 A fantastic antique serpentine front chest featuring 3 hand-cut dovetail drawers with beautiful burlwood veneers. 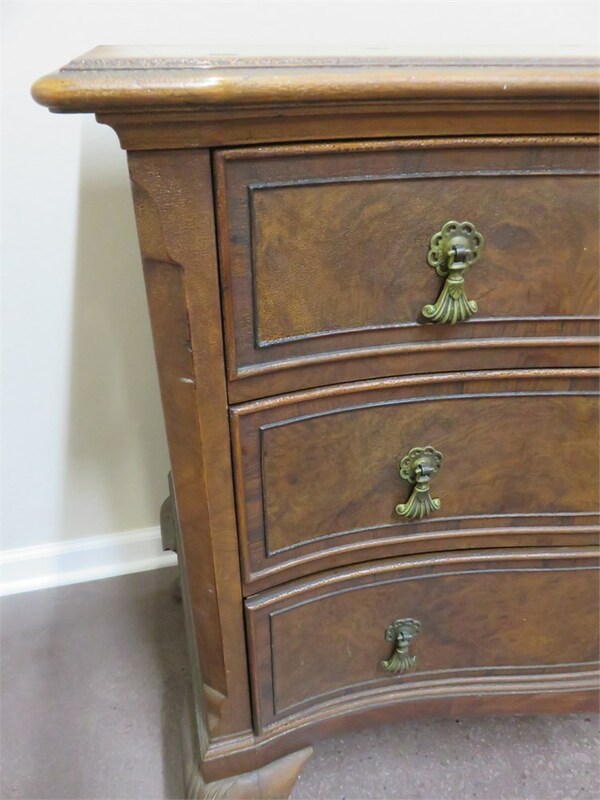 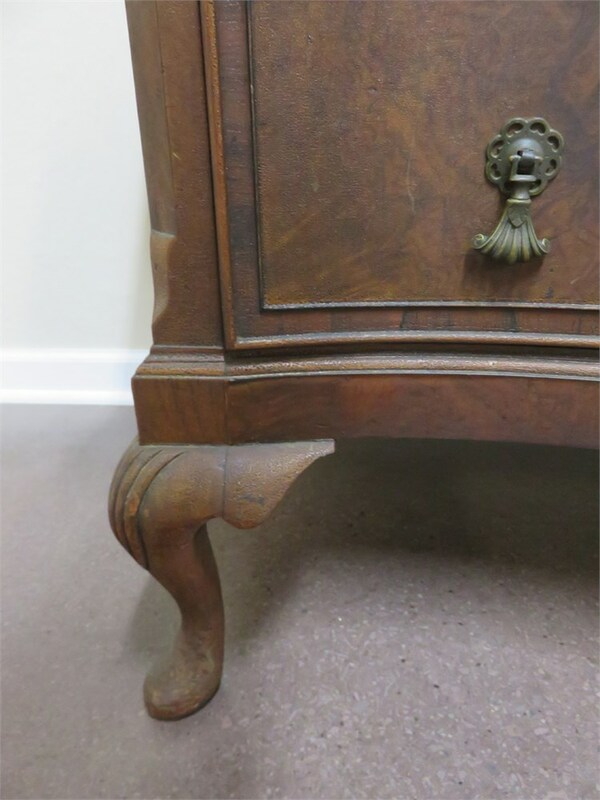 Decorative brass drawer pulls and classic cabriole legs give this chest an elegant look. 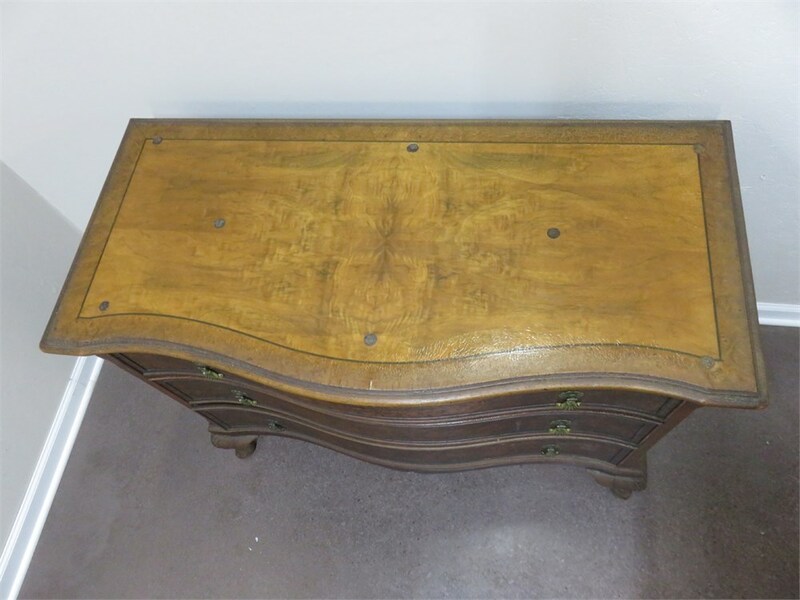 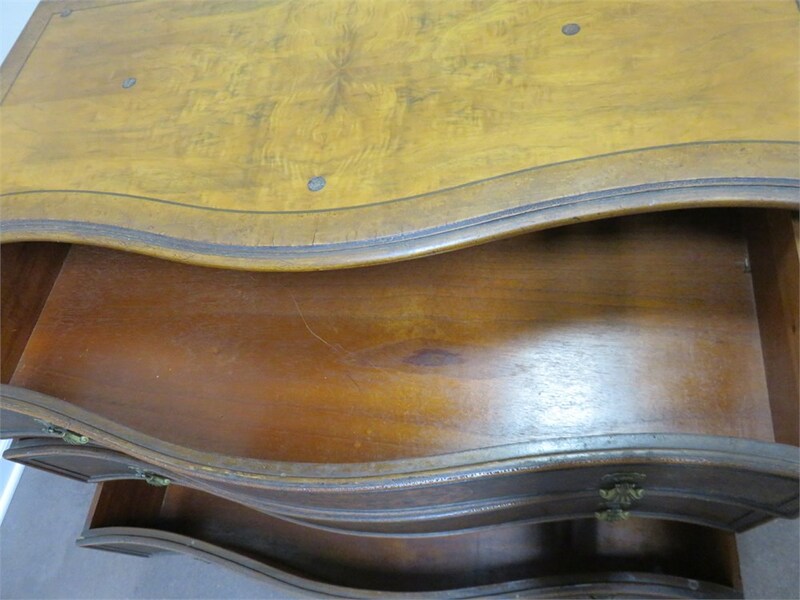 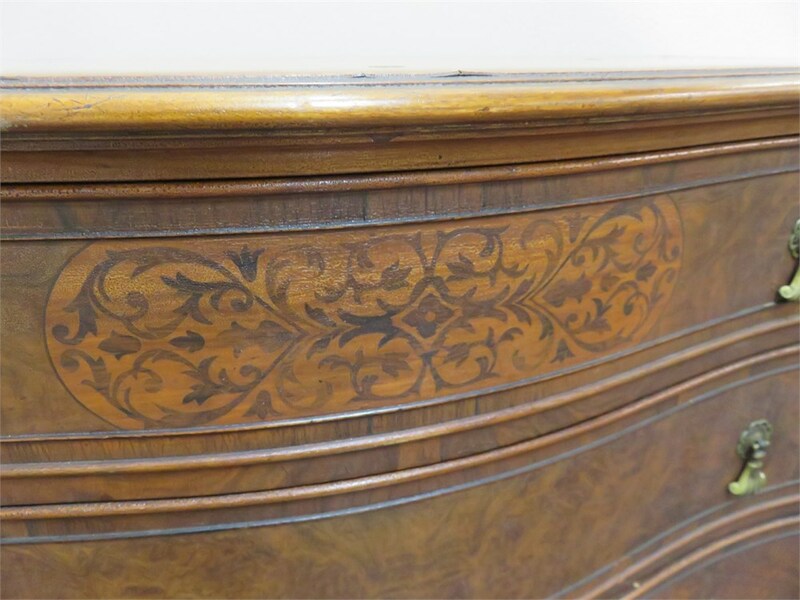 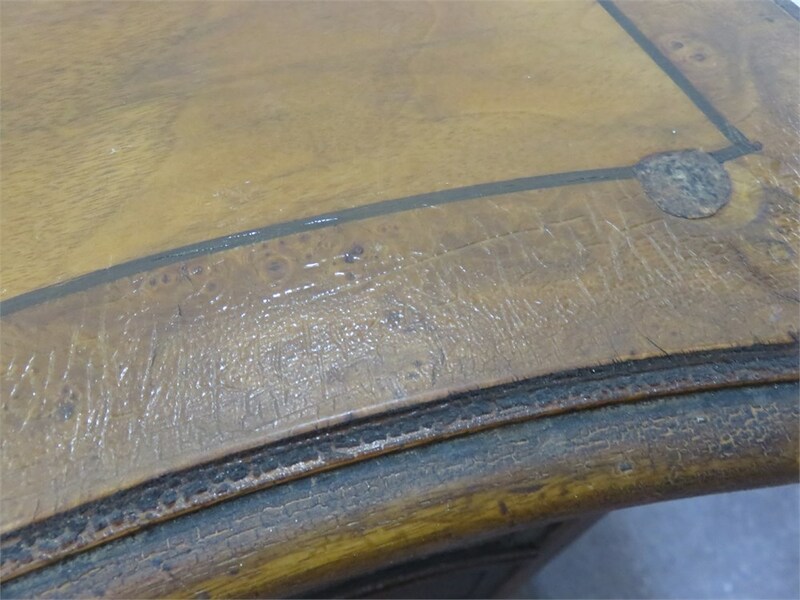 The top of the chest shows some crazing on the varnish but overall it's in very good condition for it's age.